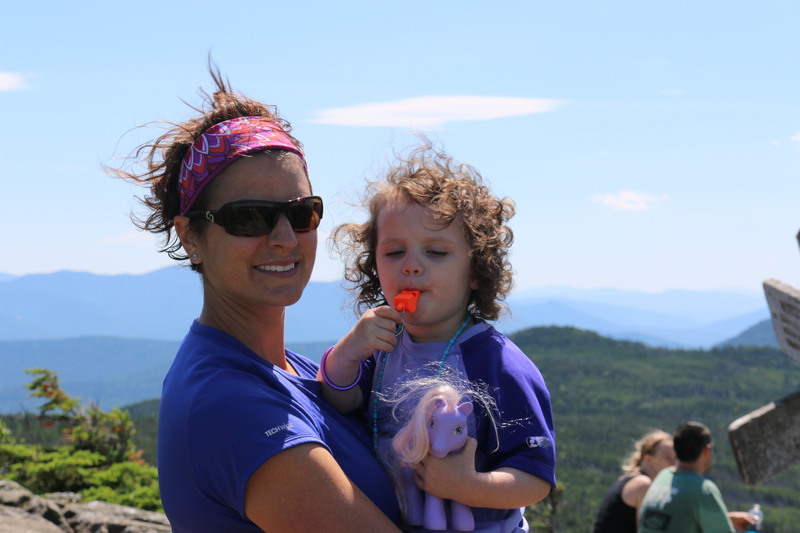 Mount Jackson, Mizpah Hut and down Crawford’s Path, White Mountain Hiking, NH. Another weekend…. another hike with my two favorite people. We spent our 4th of July at the Mt. Washington Resort. It is full of history, fun, great service and food. The weekend was worth every penny. Our visit there will be in another post. Again, we had a late start for our hike. We are two-for-two on late starts, I am hoping it will not be a trend for this year. At least, this time it was for a good reason. J needed new hiking boots and EMS (Eastern Mountain Store, located in North Conway, NH) had them ready for us on Sunday at 830AM. We did an in-store pick up via EMS’ website. Thank you, EMS for keeping it simple and efficient. 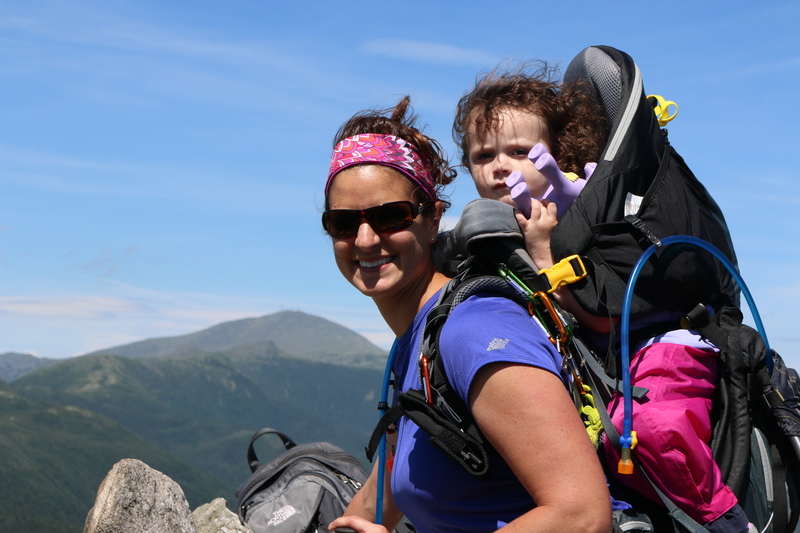 The other nice surprise was a new kid carrier by Deuter — the Kid Comfort III. It’s everything we need and all the upgrades from the Kid Comfort II, we were wanting. I will do another write up soon all. I have read too many poor reviews of the pack because people do not know how to use it and set the straps correctly. On to the task at hand…. Mt. 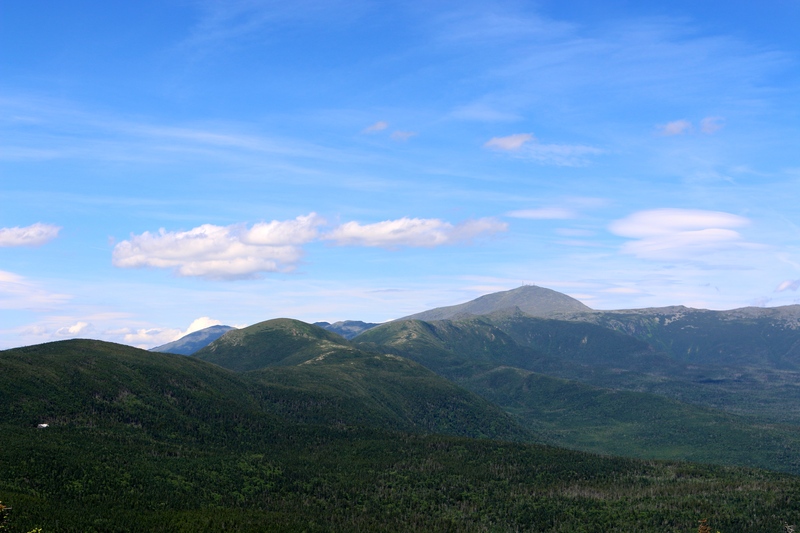 Jackson, located in White Mountains range of NH. Here are some facts about the mountain. There are a few places to park, but the best place depends on your plan for the day. The up and back route to the summit (Jackson or Webster) or the Webster – Jackson loop trail, you will be coming back to the same location you started. This means you can park close to the trailhead or across the street at the Crawford’s Depot/Visitor Info parking lot. The other location is up at the Highland Center, which is a great if you are coming down the Crawford’s Path. Actually, if you don’t mind the short walk from the trailhead (about a quarter mile) I would suggest to park at the Highland Center. The Highland Center has bathrooms, food and drink, lodging, trail notifications, hiker log book, etc. 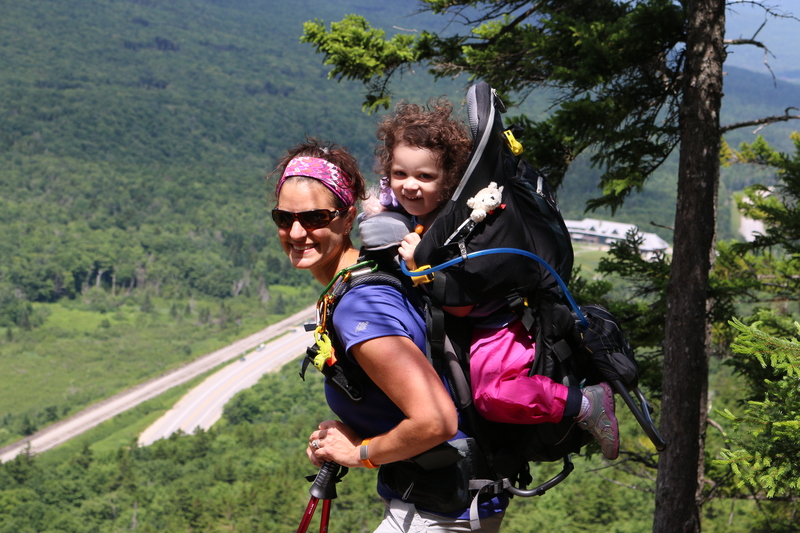 Its a nice hiking center in Crawford’s Notch. We have had breakfast, lunch and dinner there and surprisingly, it was very good food. They offer discounts for AMC members and those lodging at the center. My free advice is to plan your route and your back-up route then pick your parking location. Just beware when crossing Rt. 302, I know you are not a child, but Rt. 302 curves through that area and drivers don’t have a good line of sight for people crossing the road. 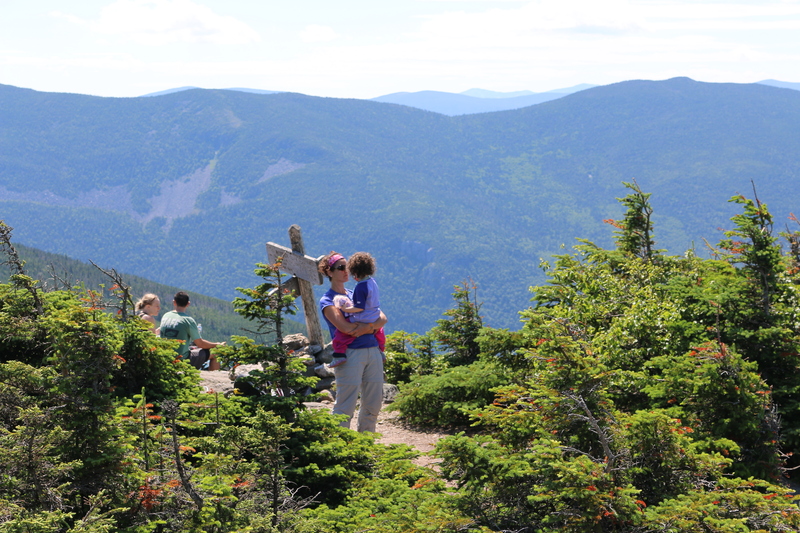 When hiking Mount Jackson or Mount Webster you will start in the same location on the path called Webster-Jackson Trail. I know, pretty creative name. 🙂 Make sure you are not taking the Saco Lake trail, which starts by crossing the bridge. Jackson-Webster Trailhead is the trail after the Saco Lake. That is if you are coming from the Depot/Visitor Info or Highland Center. When coming from Silver Cascades and the Flume Cascades it will be the first trailhead you see. The Webster-Jackson Trail will probably be wet rock, mud and puddles. We hiked the trail two days after rain. It’s all passable, so no need to pack a boat and paddle. It does dry out when you get to the spilt of the trail. At the trail spilt, left leads to Mt. Jackson and right leads to Mt. Webster. Before the trail splits, there are some good inclines all rock and a nice cliff to view your progress up the mountain. The cliff is about a half to three quarters mile from the split. Here is an image to help you get an idea of the climb to the trail spilt. At the spilt, we took the Jackson trail, which is about 1.1 miles from the summit. You will face climbing that is not for novices. It’s a good climb with rocks and log steps, but the final 750 ft is true climbing and the incline is at its toughest. You will be climbing up rock facings. There are locations to place your feet and hands and at times there will be no helping points. At those points, your own strength and balance will be needed. Just know what you can handle and what you are capable doing, if you have to turn back, do so. 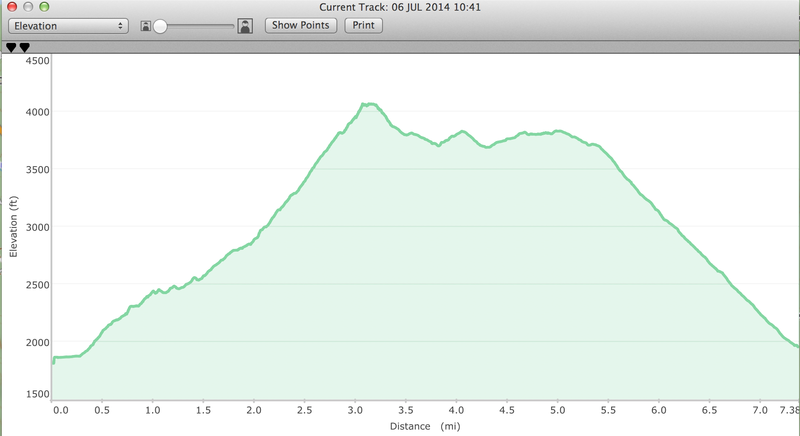 This is the incline report from our hiking Garmin GPS. As you continue upward, you will start to face, rock and log steps with a few switchbacks. Ironically, the song “Stairway to Heaven” was on repeat in my head during this part of the climb. It’s rather fitting, so just keep stepping up. You will know you have reached the last switchback when you come across your first warm-up climb onto a rock facing. And yes, it is just a warm-up, the rock facing right after is your biggest challenge. Both are doable. At the second rock facing climb, I ended up moving a rock, so I could step up on the rock then onto the rock facing and use a nearby tree to pull myself up. 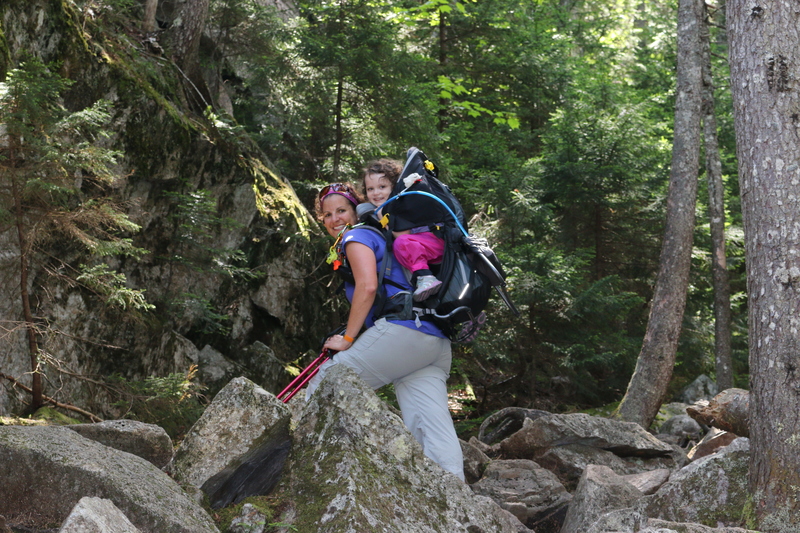 Remember, I am carrying a 41lbs pack and it moves. With the guidance of J, I ended up turning so my back so I was using my legs to push up and onto part of the rock facing. After, those two climbs, its all rock facing to the top. The summit is just around the corner. Either walk right on up or do some hand-over-hand climbing. I did the latter, since M gets a kick out of it. Plus, it was windy, about 35 to 45 mph. In the winy condition, I find it easier to be closer to the rock. 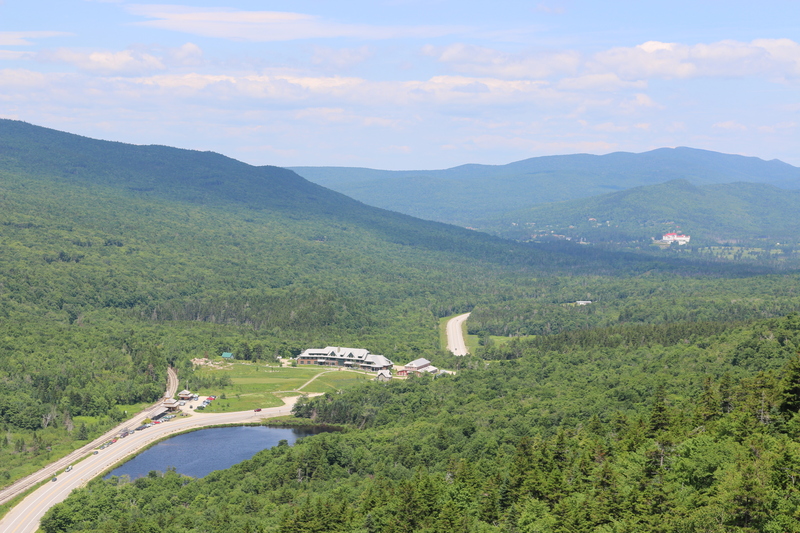 The view waiting for you at the summit is amazing…. Whistle Practice, still needs to learn how to blow harder but we are off to a good start. Mt. Washington in the clear for once! After our lunch break and re-coup time. 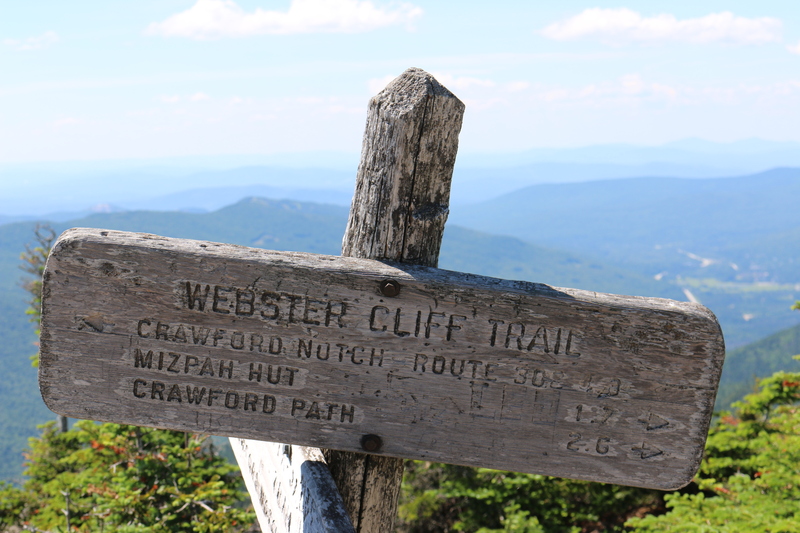 We decided it was best to take the trail to Mizpah Hut then down Crawford’s Path. Our first plan was to hike the loop, but with the high winds we decided the best and safest route for us was to take the path to Mizpah Hut. 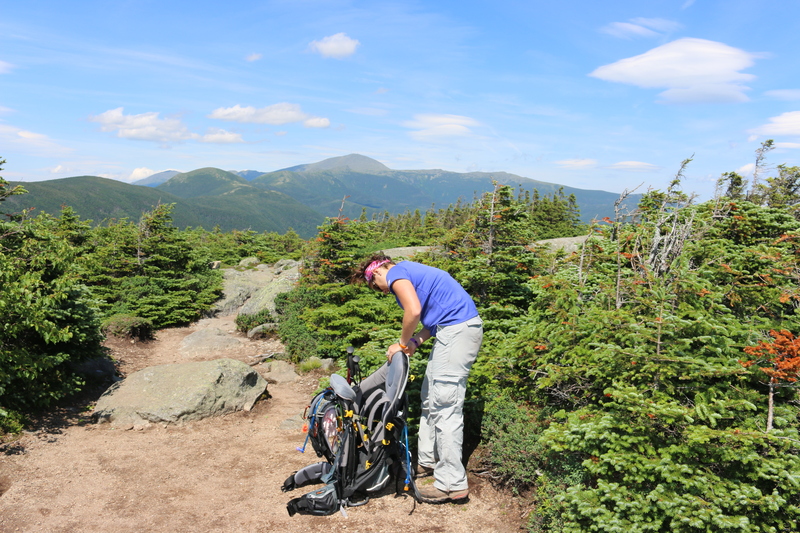 The descent from Mount Jackson using the Mizpah hut is the easiest of all three trails (Webster Cliff Trail, Mount Jackson Trail and Mizpah Hut). A few minor rock facing descents and into the forest you head. The trip to Mizpah Hut is rather simple and not too exciting. After your climb up Mount Jackson, it is a walk in the woods. (No pun intended) You will pass over some bog bridges and rolling hills nothing hard on the legs. It’s a nice break after your climb and before you get to Crawford’s Path. The hike to the Hut is a little over a mile. 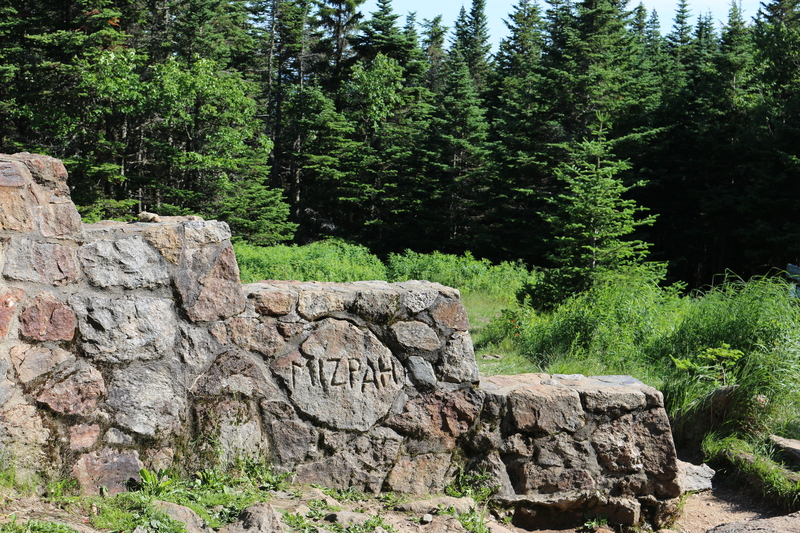 Mizpah Hut does offer lodging, bathrooms, drinking water and food at mealtimes. There is a location for tent camping, too. The hut takes reservations for lodging then its a first come, first serve. If you are using the Mizpah Hut plan accordingly. After our little break at the hut, we continued on the Mizpah Cutoff for 0.7 miles until we connected with Crawford’s Path. Again, this trail is rather easy and it can be a bit wet. Once you hit, Crawford’s Path it is 1.9 miles to Rt. 302. Crawford’s Path is pretty rocky. The climb down can be a bit rough depending on how tired you legs are. When you reach Gibbs Fall, you still have 0.2 miles to the end of the trail. Crawford’s Path ends/starts across the street from the parking lot of the Highland Center. 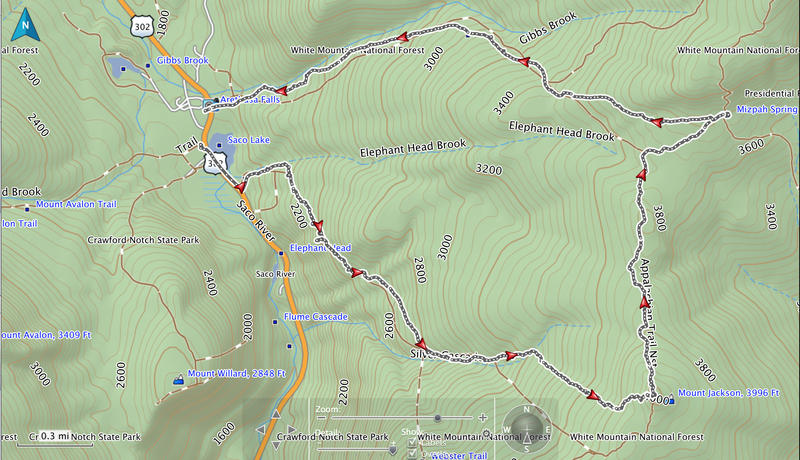 This was a longer loop, 7.83 miles, than what was planned, but its a very nice climb and walk down. 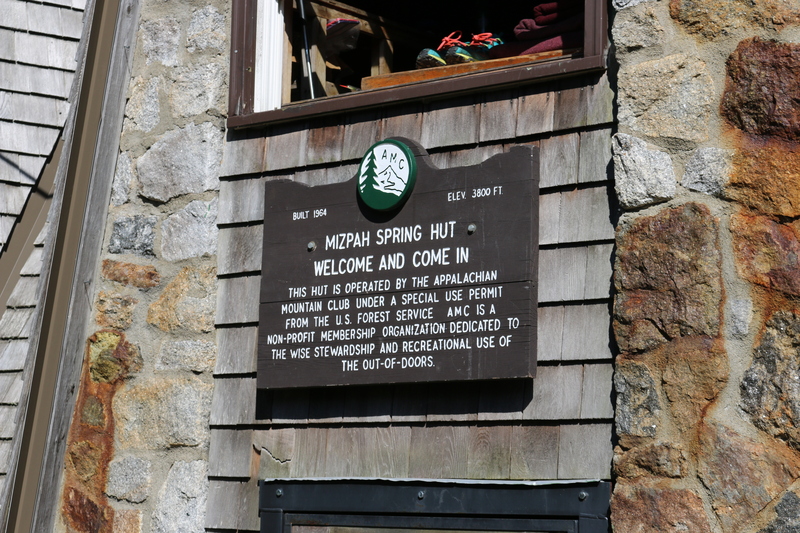 The Mizpah Hut is a location for hikers to regroup and meet up on the trail. Below is the loop, we took. You can see the distance between where we started at the Webster -Jackson Trail and where we ended, Crawford’s Path, is not that far apart. We parked at the Highland Center, since we knew we were going to use their facility.